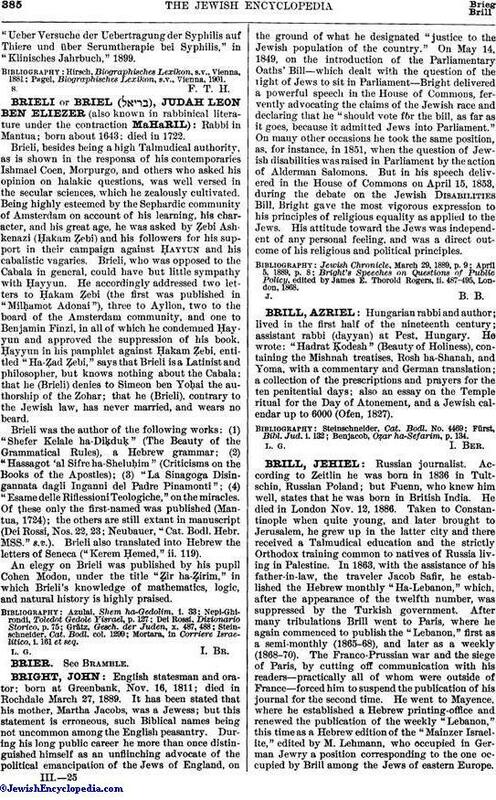 Hungarian rabbi and author; lived in the first half of the nineteenth century; assistant rabbi (dayyan) at Pest, Hungary. He wrote: "Hadrat Ḳodesh" (Beauty of Holiness), containing the Mishnah treatises, Rosh ha-Shanah, and Yoma, with a commentary and German translation; a collection of the prescriptions and prayers for the ten penitential days; also an essay on the Temple ritual for the Day of Atonement, and a Jewish calendar up to 6000 (Ofen, 1827). Benjacob, Oẓar ha-Sefarim, p. 134.